The Wii Fit Trainer Weighs In!? One thing we'll readily admit about the Super Smash Bros. series is that it gets away with being completely daft and nonsensical. In a game where a flower can be a useful weapon, and Nintendo mascots battle in some of the craziest arenas imaginable, it's easy to get swept away in the madness; that's really the whole point. Thankfully for those of us that can't get enough of the new title coming to Wii U and 3DS, an eight minute developer video has just been published by Nintendo, in which Masahiro Sakurai shows some playable characters and stages in greater detail than shown in the short initial trailer. We get a closer look at the graphical approaches in both the 3DS and Wii U versions, and Sakurai also walks us through some key moves of the new characters. We already know about Mega Man and The Villager, both shown in the Nintendo Direct broadcast, and the video below showcases their quirky move-sets — fans of the Blue Bomber may find it hard to contain themselves. A bigger surprise, however, is Wii Fit Trainer. 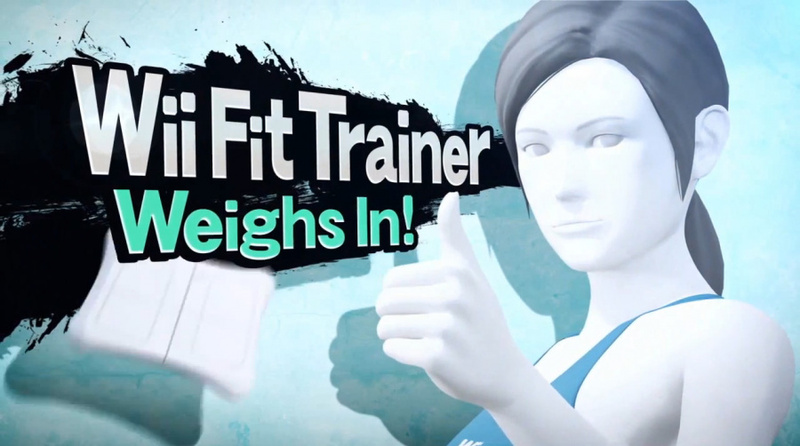 While it could be hard to visualize how a fairly generic fitness instructor could become a Smash character, the brief demo by Sakurai does give it some kind of sense; she could quite possibly become a cult favourite, who knows. What the video below does show is more detail than the flashy trailer from earlier today, and more opportunity to soak in some of the new stages, too. When Sakurai shows off Smash Bros., it's hard not to be excited. Nintendo automatically won E3 with the reveal of this character. Such a bizarre announcement, but I quite like it. Curious to see the rest of the roster now. I approve of this. Can't wait to beat her up! There is just not a word to describe this unfortunately. Cool, I like it. It is strange but I actually like this. When the game comes out, I'm using her as my main character to troll everyone online. Feel the burn! Wii Fit Trainer is even better than that Animal Crossing weirdo. Never played this series before, but I'm totally getting this one! Love that they are adding the Wii Fit girl character. This SSB rooster seems to be a bit more bizarre than the others. I would be ok if they put Robin instead of Chrom or Lucina, but a character with no real personality instead of...well, you get the point. If Viridi is in the game,I am sold. I thought about how funny it would actually be to play as her and now I think it is a hilarious addition. I have no idea how to respond to this. Should I be amused? Mad? Scared? I just don't know anymore. If we're getting Megaman, can we have Simon Belmont, Arthur from Ghouls and Ghosts and the laughing dog from Duck Hunt? What I thought was a daft character choice is actually pretty alright. It's really bizarre but the moveset works and it doesn't look silly. I'm all for it. Wii Fit trainer is hilarious. Hopefully no more clone characters. Ganondorf deserves his own moveset. Ok, if we get a Wii Fit Trainer but Little Mac does not make the cut, I will be very angry. @ferthepoet Nikki would be pretty cool as a 3DS only character, especially if you got her as a free DLC character through the letterbox! Atleast it's creative, kind of hope we will see more characters revealed like Magnus and the Dark Lord. Reggie as an unlockable pelase. That was a good look into the game from the developer. Seems like it's shaping up rather well! WILL WE SEE MEWTWO AND WRAT IN SUPER SMASH BROS? I want Miis. I think seeing myself get pounded by Wario would be the height of gaming. Theyd better not remove any characters (apart from Snake which could be inevitable) because of this. @Mqblank Nikki is however just a Mii Character so any appearance she'll make will not be as a fighter... although with that in mind it'd be kool to see Iwata and Miyamoto Mii characters too in the game! I love the inclusion of the WiiFit Trainer. I still hope they announce PacMan, which is still possible, but looking less and less likely. At least the characters revealed so far are new with fresh movesets, and not clones of other characters (like falco, wolf, lucas, ganondorf, pichu, and toon link). I'd rather have wii fit trainer and the villager than that any day. I am sooo looking forward to this game. 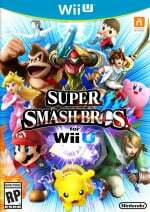 I just watched the video - Wii Fit Trainer rocks! Hilarious, love to see a sense of humour about this and not just fan service. Well she is fit with all that training. Plus it's another female character in the game. Whoa! The Wii Fit Trainer?! I don't think a lot of people saw that coming. I was already surprised with villager but her too. Next you are going to tell me pac man is in this game too. Now if only they put in Mike from Startropics, Miis, and Chase McCain, I'd be all set. Wii Fit Trainer's body is ready for Smash! I welcome a bizarre character roster. Love the new characters but hate how they Messed up Bowser's character. Plus not sure why they are spoiling the game by show the Final Smash ALREADY?! What's up with that? AC Kid looks hella over powered. YES!!!! Mega Man is in. Now all we need is Ryuta Ippongi (Osu Tatakae Ouendan) and this game will be complete. Mario Kart news was disappointing. You know, people can say what they like but I really think Villager and Wii Fit Trainer look awesome. Villager has such an interesting diverse arsenal of moves and the trainer is really graceful and her attacks actually look quite powerful and precise. Looking forward to trying out all three of the new characters. @NassaDane do you really think they messed up anything? So much time was put into this and everything seems perfect to me so far. I never thought I'd get so sexually attracted to a mannequin. I hope to see at least one party member from "Xenoblade Chronicles" as a playable character. Never expected any of these. I hoped for megaman but never honestly thought it would really happen. Oh my goodness.... the Wii Fit Trainer? IN MY SMASH BROS GAME? Just no. I like Mega Man. I can live with the villager. But... C'mon, let's not try to make sense of this: a 1990 game where you could fly around with a RACOON TAIL when you grabbed a LEAF is one of Nintendo's most legendary platformers. So if it's granted that this is going to make week-end gatherings until late hours with friends, or if this is going to feature a server-based online play (or at least otherwise improving the lackustre method Brawl introduced to people without fiber internet connections), who cares? As much as I like Luke and Loyd, I'd much rather have a character that like Jade or Zelos that can use both arts and magic. Even Emil would be more fun to play as due to his fighting style. Any Tales of character make a good fit thought. The Wii fit trainer is a wierd choice, but I guess she fits the role of normal fighter well enough. I will main the trainer. I hope her taunts audio have cruel sarcasm. @Justaguest Bowser is now very up right, which takes away his dino/monster look and feel. Some of his new moves look interesting but they didn't need to make him into a fully ascetically different character. It blew my mind seeing Mega Man debut, along with Kid Icarus all we need now is Simon Belmont to complete the Captain N co-star roster. Villager might be one of those characters who's, when mastered, can be the powerful fighter in the game. Wii Fit trainers ultimate smash made me laugh because of how awesome it looked, I like that randomness of it. All in all, I can't wait to play this. Lol, Mega Man's third jump is like Sonic's spring jump from Brawl. I reallyyy want Sonic to come back!! Pleaseeee!!! Not that it's any suprise, but the boxing ring indicates Little Mac has made the cut! I'm extremely excited for this game, it's just a shame that the main trailer wasn't shown in front of a giant E3 conference with nintendo fans rather than a bunch of tight lipped quite journalists. Well it is odd but I kinda like her plus this game needs more females. Just hope they actually use some of those cool characters that fans have really wanted. Wii Fit Trainer.... OMG that's genious! Guys, check at the bottom note beginning at 0:28. He's controlling all the action and cameras and talking at the same time?!? Pro. More SEGA characters like Shadow and Knuckles would be a good addition to the roster. Ugghh why? This is so... mehh. I guess it shows that no one is off limits? I mean there better be at least a few more good reveals. @Zombie_Barioth I don't know if arte users would be a good fit. The Smash Bros. universe is far too fast paced for them I think. They'd never have time to cast! I hope the next reveal it's the Mii! yeah! im glad they went out of a fighter element to put in the trainer. maybe in the next one they can put in oprah or dr. phil! I hope Lucas comes back, I owned all of my friends with him. @Necuerto may lucas never be included ever again. @Melkaticox Villager is meant to resemble you, the player. I wouldn't be surprised if he ends wearing what your character in AC wears if the game can read your save data. He's actually the only character from AC who would work as a fighter. Wii Fit Trainer looks a perfect fit (ho ho ho) for Smash. Her quickness and athleticsm will make her quite a popular character. @FilmerNgameR No, they wouldn't. Sonic and Snake should both be back but that is it for Sega and Konami, like how Mega Man should be Capcom's only character. Non Specific Character please Nintendo. I really hope that Sonic is coming back to be in this one as well, he was a great character in SSBB, and he fit into Nintendo's universe perfectly, unlike Snake from MGS. Looks like there will be no meter for super attacks, but the Wii Fit Trainer's Final Smash just looks like a generic beam. You'd think it would be something more unique for such a unique character, like she would force you to exercise with her by following her movements, and make you do Yoga. @TheSonicdude97 I honestly think the reason they wouldn't add Miis in the game is to not subject them to brutal beat downs (e.g. beating the c*** out of your brother's mii). @WaveBoy Even if it is a Punch-out!! ring, keep in mind that Brawl had two stages (one from Animal Crossing, and the one with the color changing leaves) that had no playable character representations. 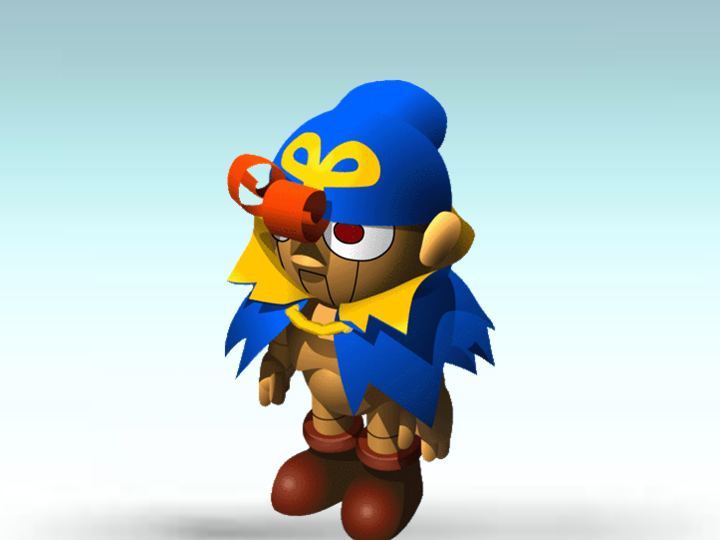 @rastamadeus Nintendo and Sega have a partnership right now so they might add some additional SEGA characters. @MrGawain LOVE THOSE CHARACTER CHOICES!